Your mobile device is a fantastic marvel of technology; however; a limitation is the dominant interface to use the device is limited to one’s finger. While convenient for selecting applications and scrolling a web page; more precision oriented tasks such as typing; notepad writing or freehand drawing can be more challenging. 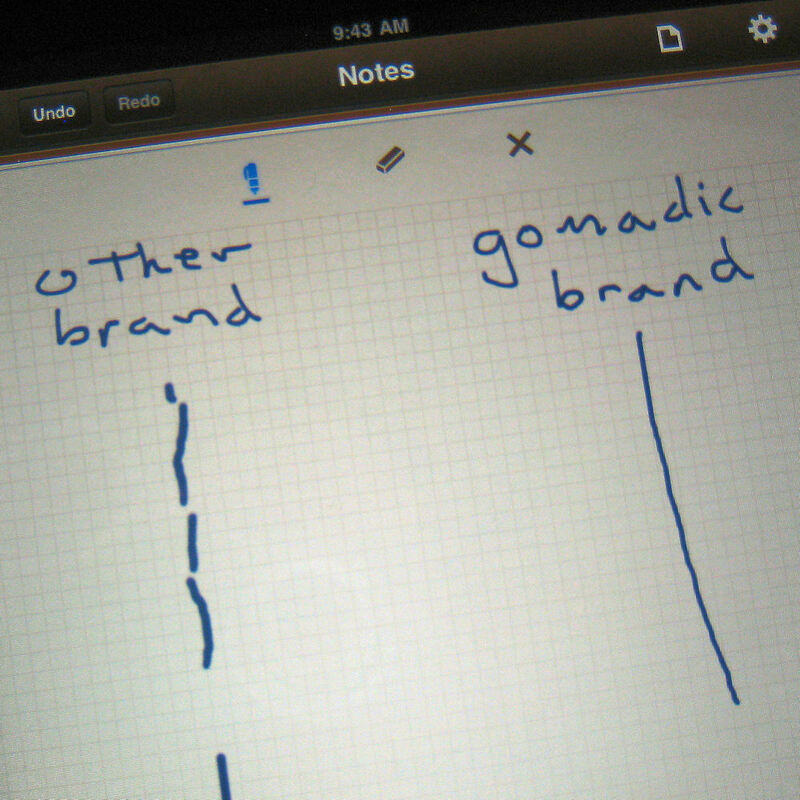 Gomadic’s new precision tip capacitive stylus pen resolves this limitation in style. 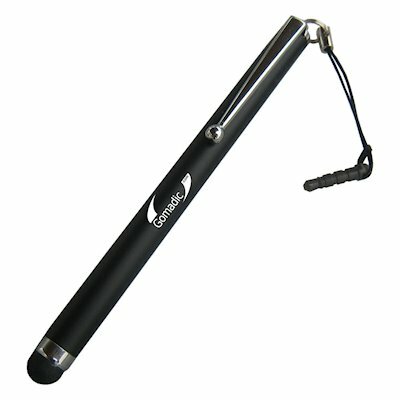 Built to mimic the pen writing experience (e.g. weight; look and feel); the carefully designed 8.5 mm precision rubber tip provides a far more accurate and convenient user interface. Now you can write notes on your mobile device; hunt and peck on the keyboard or draw elaborate pictures and sketches; even during a cold day while wearing gloves! Be careful! 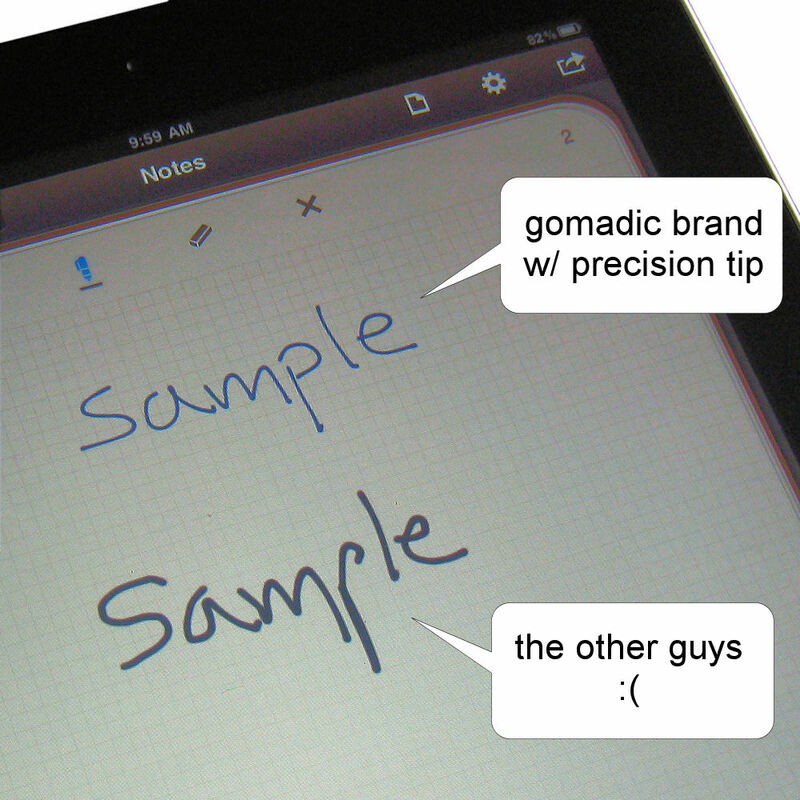 All capacitive pens are not created equal. They come equipped with a variety of shapes and style tips and in varying degrees of quality. While some are ill suited for writing or more precision oriented tasks; others have tips that will fall apart after only a few uses. 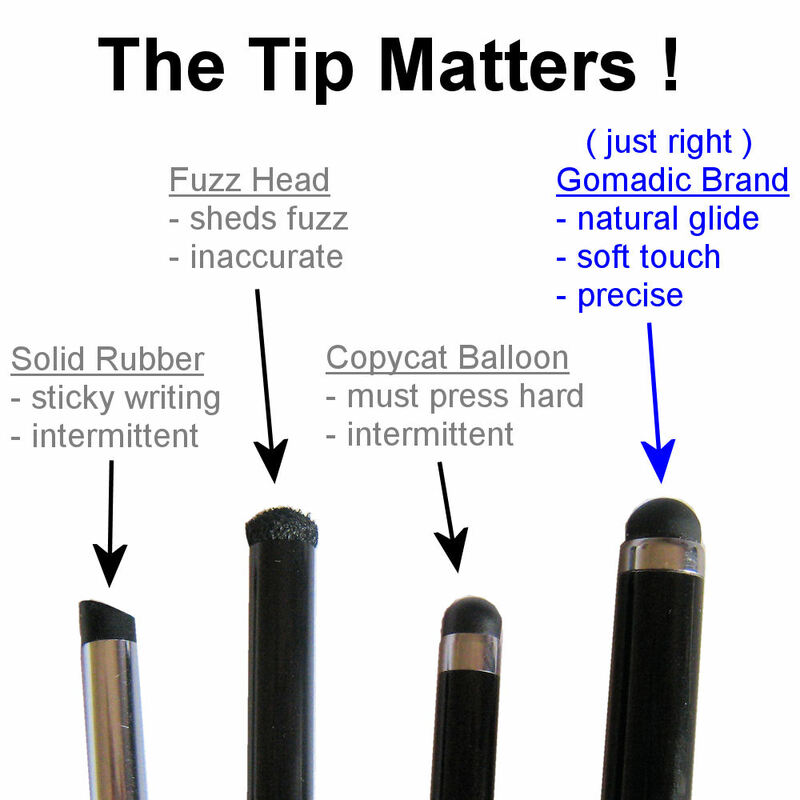 Only Gomadic brand capacitive devices are guaranteed to look and feel like a pen and last forever. We back this up with our 30 day no questions asked money back guarantee and lifetime warranty! 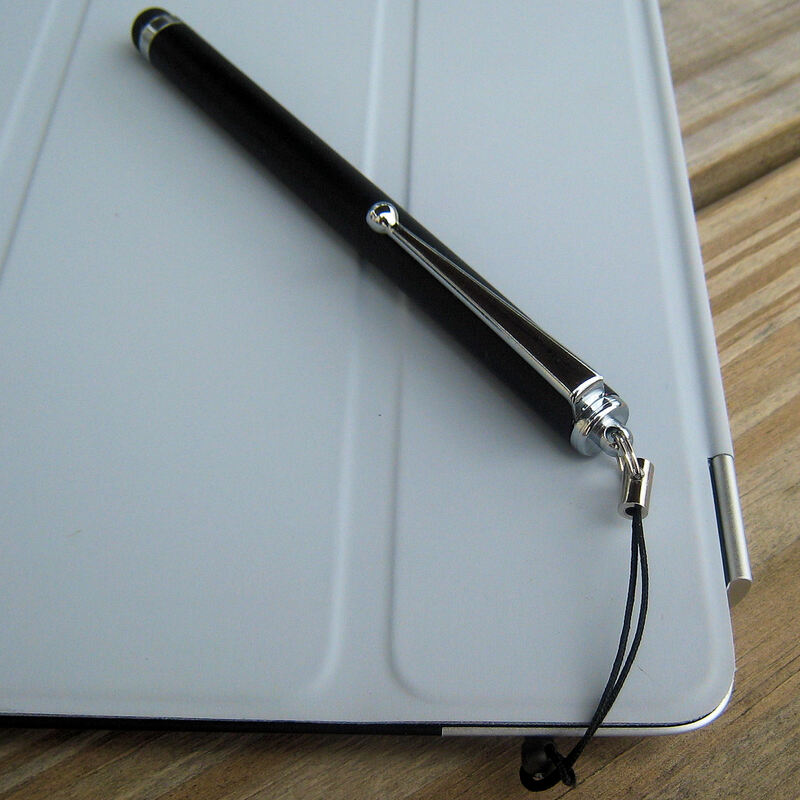 Go ahead and extend the usability of your mobile device today with our precision capacitive stylus!